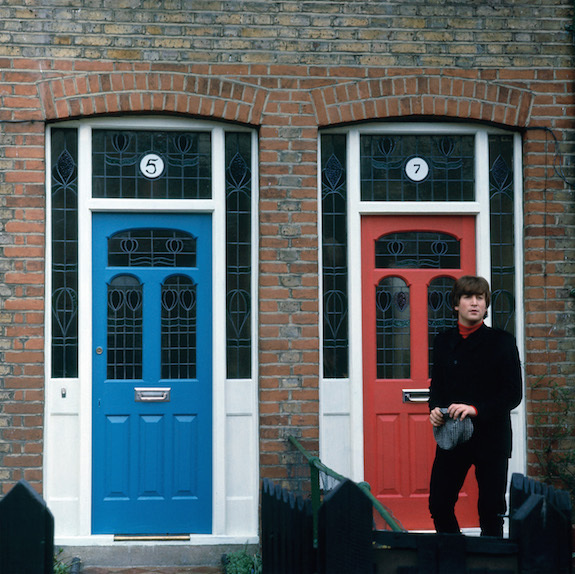 Behind the Scenes with The Beatles. | A Continuous Lean. 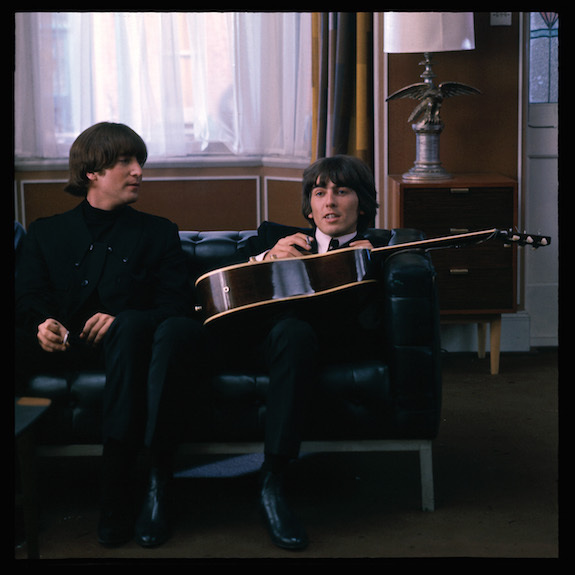 Behind the Scenes with The Beatles. 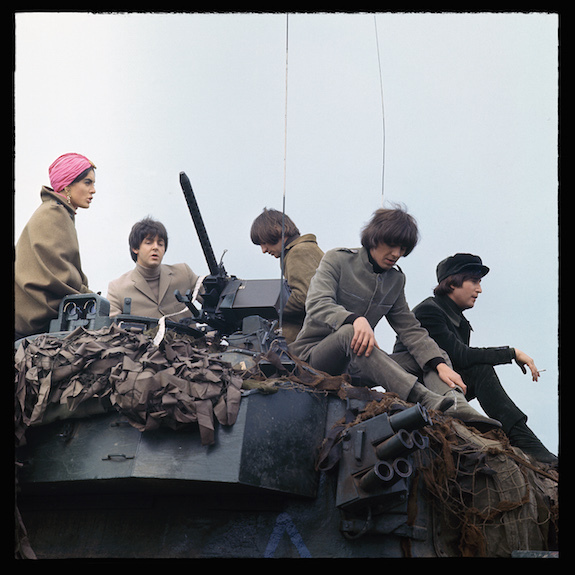 Though they’ve arguably been more influential in the bigger picture, for true connoisseurs of style the Beatles have never held the same cachet as the young Rolling Stones. A new book released in conjunction with the 50th anniversary of HELP!, their 1965 slapstick action flick, might help change that somewhat. 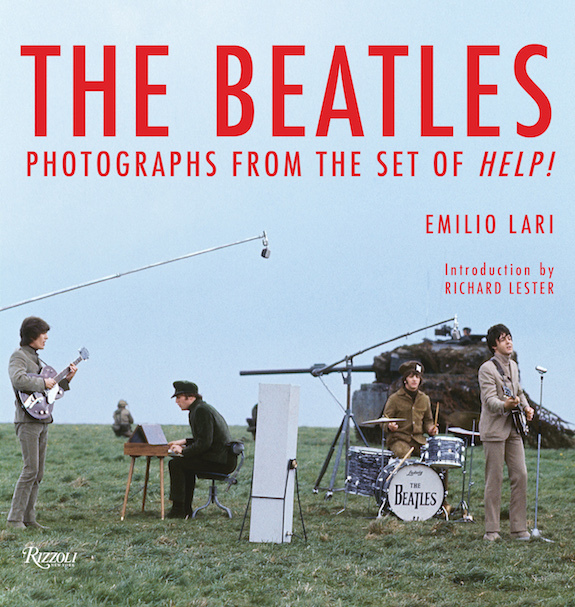 The Beatles: Photographs from the Set of HELP!, published by Rizzoli, is the unexpurgated archive of Italian photographer Emilio Lari, who initially bluffed his way onto the movie set and ended up being engaged by director Richard Lester to shoot stills in the UK. He carried four Leicas and a Hasselblad. 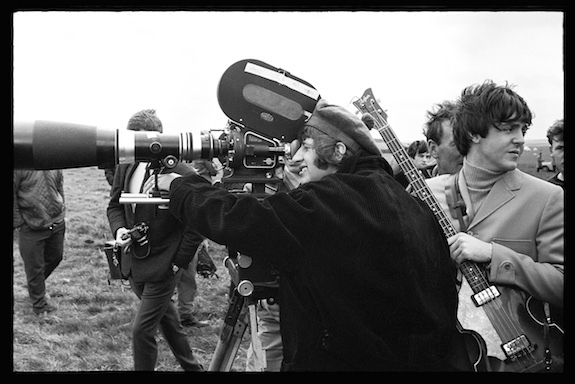 The soundtrack, released as the band’s fifth studio album, continued some of their biggest hits including the title track, but much credit is due to Lester whose cinematography paved the way for the music video genre to come. 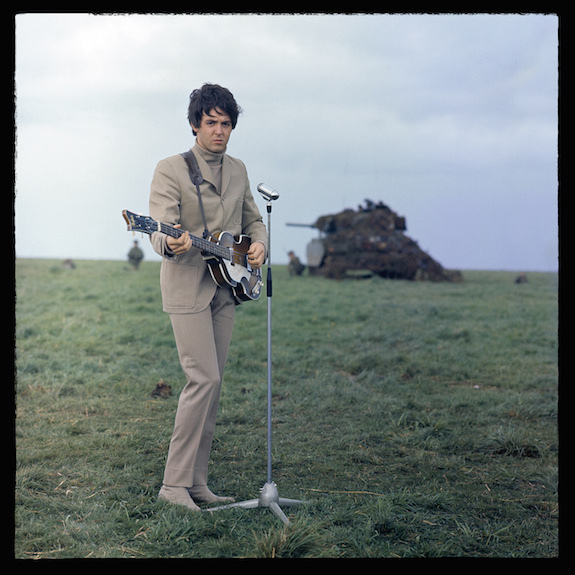 The band were mostly clueless during the filming of the absurd adventure, which spoofed the Bond films in the spirit of Peter Sellers and his ilk. 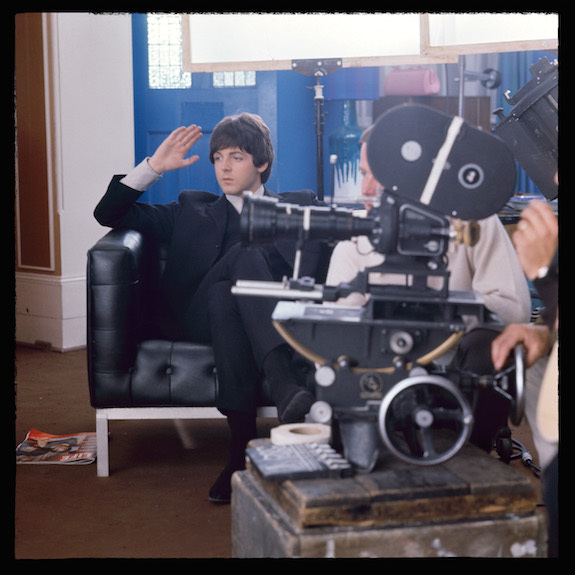 Partly due to poor communication with Lester, but probably more to do with the Fab Four’s large intake of marijuana during filming. 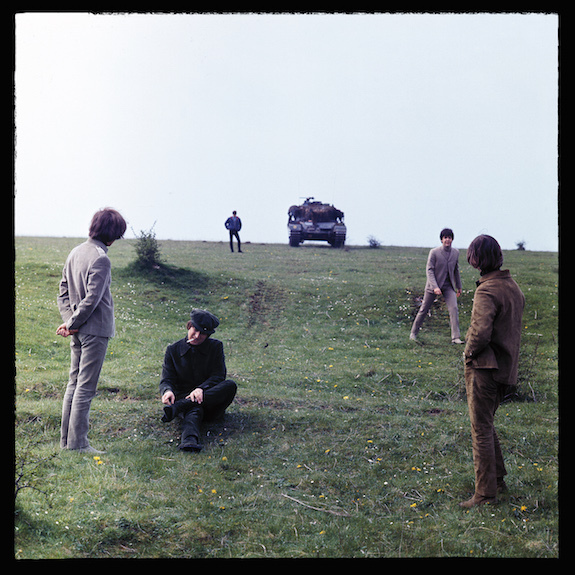 â€œWe showed up a bit stoned, smiled a lot and hoped we’d get through it,â€ Paul McCartney later noted, while John Lennon said they felt like extras in their own movie. The budget was quite large and Lester splurged on splashy sequences like the final scene on Salisbury Plain co-starring the Third Division of the British Army’s Royal Artillery along with a number of their Centurion tanks. 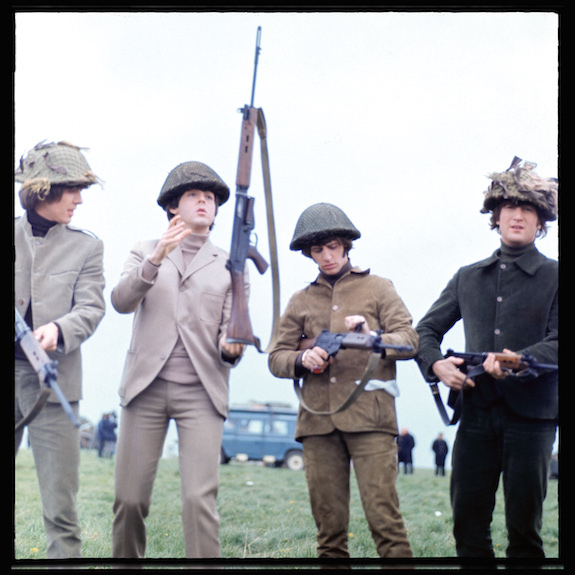 British costume designer Julie Harris, who also worked on a number of Bond films, was responsible for dressing the band in military-inspired suits that still look cool today. Are you kidding? 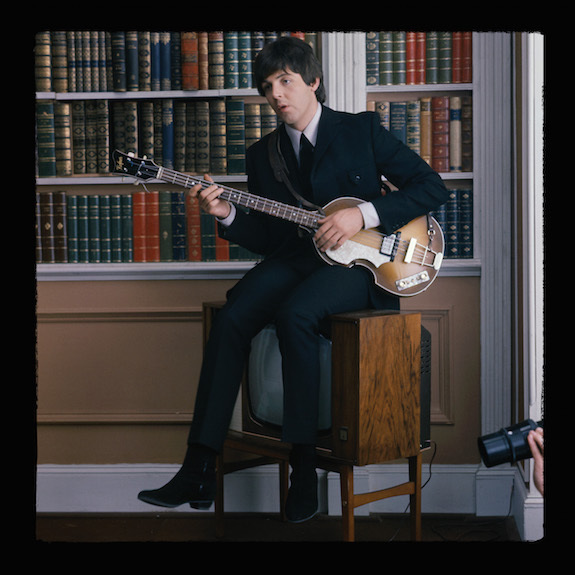 We all looked to the Beatles first and then other British Invasion groups as well and the American groups for music and fashion. You might have had to be there to know this. Yes, JC, apologies, I was speaking of younger generations. Mick and Keef just look cooler from here.